Chilly temperatures are with us now. Almost freezing last night! A crisp fall morning, with temperatures due to rise to mid-60's today. 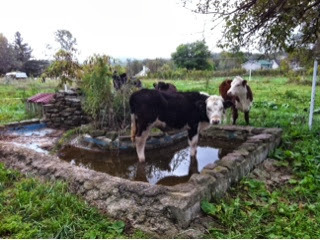 Here's what the cattle were up to. A pedicure before it all turns to ice? 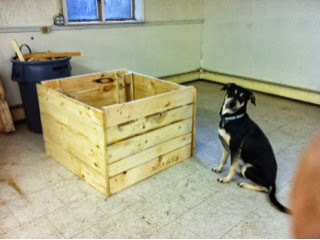 Chaz, hanging with a box made from salvaged pallets.